Remembering Kate & Gary’s beautiful sunshiney wedding is a perfect antidote to this dreary grey January afternoon. Remembering Kate & Gary’s amazing attitudes and fun-loving spirits, their carefree and laid back style, how they took every part of their busy day completely in their stride, is exactly what I need to revel in today as I build their blog post while warming my toes by the fire. 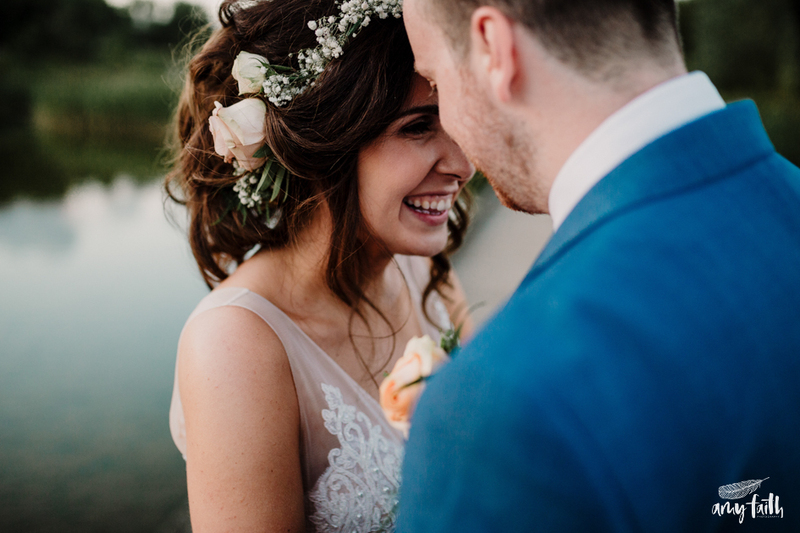 It was my first time shooting a wedding at Brockholes Nature Reserve and I was unbelievably excited. Since learning that Kate & Gary were holding their reception and wedding breakfast at the eco-friendly venue I was eager to read more about it. I was fully surprised to learn that it would be completely held on their floating visitor village. A small man-made floating island was built in an old disused quarry, now converted to nurture thousands of species of plant and animal over their 250-acre woodland and lakeside. I literally couldn’t wait for the day to come! The sun was shining, the booze was flowing, the music was live, the animals were investigating, the guests eat their food within touching distance of the lake. All in all it was a spectacular day. 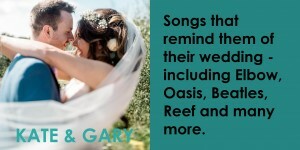 Click here to listen to Kate & Gary’s wedding soundtrack while you enjoy the rest of their blog post. Would it be bad to say the best part of the day was the dancing and getting pissed? We loved being able to and celebrate with our friends and family. Gary and I hate public speaking, so I was really worried about messing the vows up in church and Gary was panicking about his speech. I will, strangely enough, always remember the drive from the church to the venue with Gary and I chilling out and laughing at what went wrong in the ceremony. The coach being late was hilarious – Shehraz (the best man) had earlier given all the alcohol out on the coach’s trip to the church so there was none left for the trip to Brockholes. There was a queue for the toilet when guests arrived at the church because they had had so much to drink on the coach! Shehraz also left leaving the rings in the box during the service. Father Grant hilariously left his microphone on so we could hear him muttering during the service. Gary’s dad messed up the CD as we walked out of the church. The main problem during the planning for me and Gary was the fact that my family are from Liverpool and his are from Oldham, so logistics were the main problem. I wanted to get married in my family church but also wanted a venue that suited our personalities. In the end the ceremony was in Lydiate, the reception was in Preston and we had family travelling from all over the county! We had to plan hotels and transport to make sure that everyone was able to come and be able to have a good time. There were no major disasters just small ones: I bled all over the bottom of my wedding dress at my last fitting. We noticed the seating plan was wrong as we were sticking it up at the venue the day before (luckily my sister brought a glue gun on the day to fix it). We also lost one ballon in the venue when we were putting the tassels on and couldn’t get it down – the ceilings are VERY high. My top tip would be to not leave anything to the last minute (which we always do). We chose Amy as our photographer because we hate public displays of affection and we hate getting our photograph taken. (Family often ask if we actually went on our holidays as we were never in any of our own holiday photos!) We didn’t want a photographer who would make us stand in awkward cheesy poses. All of Amy’s photos on her website capture moments rather than poses. Also, we loved the way Amy documents the day as it happens and, happily, our photos are all like this.